Continuing the series of questions and answers that I sent to various people, whom I’m either in contact with, admire or just wanted to be nosey with. In fact many fit all three. 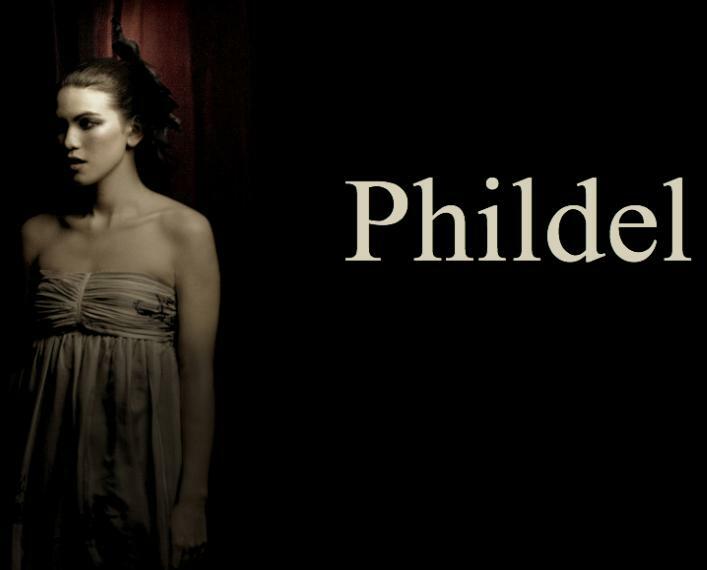 It’s great pleasure today that I give you access to the world of Phildel. A person whom I’ve known for many years now. The best way to describe her is a 21st century Kate Bush. This lady plays everything, writes her own material, makes her own videos and a person I respect not just as a musician but as a human. Having been privileged to hear some of the forthcoming album, I’m sure the secret that is Phildel won’t a secret for too long. In fact you probably don’t know it but you have already heard her music, some of which has been commissioned for television adverts. 1. As you know way back in 2008 I first encountered you sound checking in a Soho venue playing a track entitled ‘Ghost’, it totally mesmerised me. I bought the disc you sold then. How long did that body of work take to amass? Which song still gives you great pleasure? I created a different disc for almost every show I played back in those years. They were all ideas I was roughly recording. So, I’m not sure which songs you would’ve had. It generally takes me a few weeks to write a song, but years to complete the arrangements because rather than creating music for a conventional group of instruments, I try to find what is for me the “optimum” arrangement to serve the spirit of the song. It’s this quest that takes most time, as it’s normally something unconventional. All of the songs still give me great pleasure to play. Those early discs I have of your recordings I highly prize in my collection. 2. You’ve been very lucky in having not one track but two used for commercials ‘Piano B’ for Expedia and more recently ‘The Kiss’, used by both Marks & Spencer and Apple’s new I-pad? How did they come about? Has the income helped your bigger picture? Four of my tracks have been used in commercials around the world, two of them in the UK. They all came about in different ways, through different individuals, agencies or publishers. But my publisher Warner Chappell have been very proactive in the realm of pitching my music for advertising. I re-invest whatever I income I make into top-of-the-range studio equipment and cameras for documenting everything and creating visuals. So, it all goes back into my music. 3. You have done in the past some work with your local community, how rewarding did you find this and what did you gain from it? Local community means a great deal to me. Getting involved and making a positive difference to those around me is something I’ve always really enjoyed. The reward is knowing you are helping make a better environment for everyone to live in. 4. Recently you have uprooted and moved from an urban lifestyle to the more laid back rural countryside, has that affected your mind-set on writing songs? My only regret is not moving out here much sooner. I’m a keen appreciator of nature and feel very much in my element being so close to it. Walking amongst the wilderness beneath the gaping sky is an amazing, freeing feeling. The sense of peace and actually, the sense of community, which is even stronger here in any many ways, gives me a nurturing and calm space from which to be creative. I would say my creative output hasn’t changed, it’s always filling up all of my time and that’s remained the same – from music to photography and other visuals, I do a lot every single day. You certainly do paint a colourful picture. 5. When playing live you surround yourself with some wonderful musicians how did you all meet and hopefully will this continue? I love the musicians I work with, they are all musically gifted, intuitive and very supportive. I met them all at different points along the way. My percussionist Adam Morris goes back with me the farthest, as we went to school and studied music together in our teens. Adam would turn up pretty drunk to a lot of our lessons and fall asleep on the desk! He recently got a distinction from Guildhall for his MA in percussion though…so I’m guessing he’s changed his work ethic a little from when we were kids. I went to university with Chris Young (guitar/synth), who was always in bands at our uni and although I created music, I kept it a bit of a secret and always thought he was too cool to want to work with me. But, on graduation day we got talking and he said he was really impressed with my bedroom demo. The cellists Jess Cox and Alex Eichenberger, I met once I started gigging. 6. Now being signed to a major label in Decca Records have they left you to your own on recording what will be your debut album? Yes, I have creative control over my sound and visual world. It’s remained consistently the case since I signed and I’ve been with Decca for almost two years now. I’ve been completely supported by Decca each step of the way – whether it be on musical or visual ideas. They’ve given me all the time I’ve needed to create the debut album, we were in the studio for just over a year. They’ve also given me all the time I needed to create the visuals that will accompany the album, which has taken about nine months. I love working with them. 7. Now I know you like to be in control of the whole package, artwork and videos. If you wasn’t a musician which field would you have followed? I’d say if I couldn’t be a music artist, I’d most likely create music videos and short films for music artists. I’d need to be involved with sound to feel fulfilled in life. 8. The album is due out soon, you’ve worked with a producer for the first time, how has that worked? On reading your social networking messages it’s been very productive? I spent years working with a number of producers and felt they’d generally tend to try and guide the creative process, which didn’t work for me as I have such specific and detailed ideas. With Ross Cullum, the producer I worked with on this debut album, he had a different interpretation of a producer’s role. He said to me one day, I think the role of a producer is to support a great artist and their vision. And so his role was always supportive and never authoritative. He believed very much in the creative work emerging from the artist, as preserved as possible. And he saw the great value in that. He said to me, “This album will be the strongest it can be if it comes from you”. And it’s something Simon Gavin, the A&R person who signed me also maintained. Simon would say, “It’s always better coming from the artist, once too many people get involved, the authenticity and the idea starts to get diluted”. I would tell Ross Cullum, the producer, all of my ideas – from the large-scale concepts of how the choirs represented ethereal water spirits in the sonic landscape, down to the smallest details of how I thought a cymbal should be EQ’d, when I thought specific sounds were too metallic. He listened carefully and we worked together to create the best album we could. He had the experience, intuition and technical ability, to enhance all of my creative thinking. Out of my music career so far, working with Ross was undoubtedly my greatest highlight. I could never have made this album without him, it would’ve been a shadow of itself without all that he’s done to bring it out of me. 9. Playing live I’ve seen you play solo and with a full band as witnessed at your very successful set at Latitude in 2011. Which do you feel gives you most satisfaction as I know most whom play with you live have been with you for many years now? Performing with a group and performing solo both have their own charms. My kind of vocal style is more exposed solo which I enjoy as I feel I can really focus on the expressive nature of each song taking as much time on individual phrases as I like. I play with a “freer” sense of timing. The melodies are more exposed too, which is nice. Playing with the musicians, the set becomes an entirely different animal. It’s suddenly a whole sonic world, with each instrument bringing in dimension, depth, dynamic and space. All these layers overlap to create an amazing enveloping atmosphere. It becomes a solar system of sound and it feels incredible to be amongst it. It’s hard to choose which I prefer. Solo is more of a personally rewarding and intimate experience. Group playing is more of an epic, exhilarating experience. 10. Lastly what’s the plans for Phildel in the next 12 months? Over the next twelve months the album will be released, an event I’m really excited about, having worked on it for around ten years now. Once again I would like to thank Phildel, a name for 2013. You can keep tabs on her via Facebook, Twitter and there’s still even loads of sounds on her MySpace page. There’s plenty of material I wish I could have added to this article, but you’ll just have to wait for the album. I promise you it will be well worth it too… who’s Adele? This entry was posted in Q & A's and tagged Adam Morris, adele, Alex Eichenberger, Apple, Chris Young, Decca Records, Earls Court Festival, electronic, expedia, Ghost, Guildhall, Holes In Your Coffin, Jess Cox, kate bush, Marks & Spencer, multi instrumentalist, phildel, Piano B, Ross Cullum, Simon Gavin, storm song, The Kiss, Warner Chappell. Bookmark the permalink. How nice to read an interview that really captures the depth of a musicians work. Well done! With Phildel’s album coming out it will be to the fortune of a wider audience to hear the beauty and depth of her music.